Series Editors Massimo, Lesley and Evelyne describe their new roles, their big plans for the series of books in photochemical and photobiological sciences and some exciting publications coming soon. Let there be light! It’s a new beginning for The Comprehensive Series in Photochemical & Photobiological Sciences. First started in 2001, this series has covered some fantastic topics from flavins to lasers. Brand new books have just been published, and the freshly appointed Series Editorial Board is looking for the next big topics. How did the series emerge? In addition to primary research and reviews, photochemists, photobiologists and aspiring students can need more. In response to the identified need for comprehensive information sources that cover well-established and emerging fields in depth, in 2001 the European Society for Photobiology (ESP) and the Royal Society of Chemistry (RSC) agreed to launch a series of books in photoscience. The series title leaves little untold about its purpose: Comprehensive Series in Photochemical & Photobiological Sciences. Browsing through some documents from the time of its launch, we ran into instructions for authors that suggest manuscripts should be submitted “together with a set of disks (or CD-ROM)…” Today, floppy disks are useless, compact disks are a vintage technology and we submit our scientific papers by clicking on touchscreen devices. So much has changed, but the book series has maintained its high scientific standards and best original features, thanks to the vision of committed previous series editors (Donat-Peter Haeder and the late Giulio Jori). Thirteen books (and over 5000 pages!) have now been published, covering very cool and interesting fields, giving – as the series editors wrote in the foreword of the first published volume – a critical evaluation of the directions that the field is taking. If you glance at the published titles, you will see the results of hard and dedicated work from many chapter authors and volume editors from around the world. The Executive Committee of the ESP met in September 2015 in Aveiro, Portugal during the biennial Congress of the Society. The Committee has given the three of us the prestigious roles of Series Editors of the book series. We are flattered and honoured by this office. We are committed to work hard to maintain the standards of the Series and to source and invite new edited volumes on important topics. Very soon, two new volumes will be available. 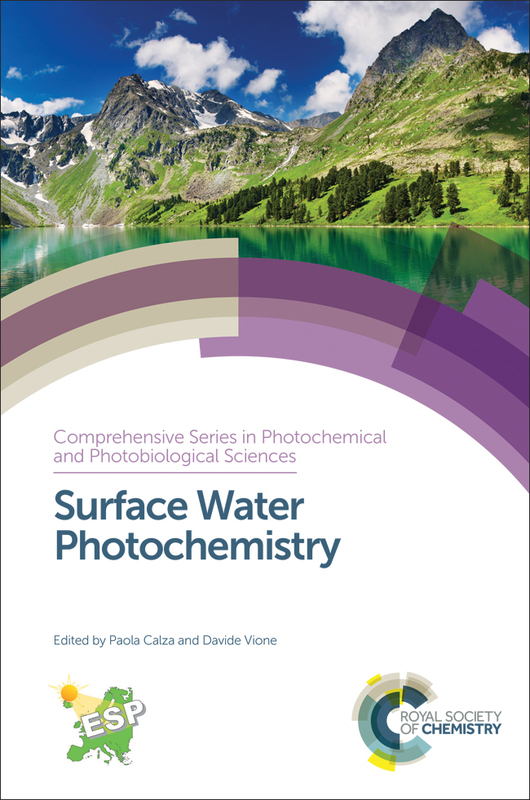 Surface Water Photochemistry, edited by Paola Calza and Davide Vione, is now available and it explores the latest research on the photochemical fate of organic pollutants in surface water. 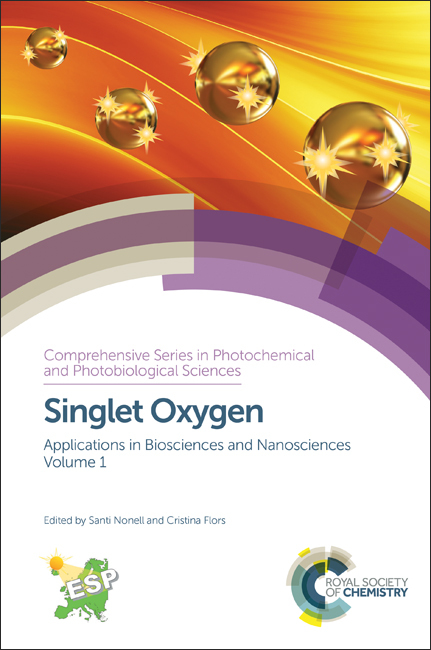 Singlet Oxygen, edited by Santi Nonell and Cristina Flors, comprises two volumes that present the physical, chemical and biological properties of this reactive oxygen species and its increasingly important applications across chemical, environmental and biomedical areas. Look out for this book in early 2016. Currently, we are scouring the literature, attending conferences and speaking to our colleagues to decide what are the topics that have developed significantly in the last few years and that could now do with a new edited book covering the field. The series will be open to and will expand to include any topic where an in-depth coverage need is defined. Thanks to the impending publication of two new titles, a new series Editorial Board, and beautiful new cover designs, it looks like an exciting new start for the Comprehensive Series in Photochemical & Photobiological Sciences. We do welcome feedback on books in the series and ideas for areas we should cover in future. To get in touch, please email us at books@rsc.org. Read more in the full Editorial published in Photochemical & Photobiological Sciences.